The average 30-year, fixed-rate mortgage fell to 4.31 percent from 4.37 percent last week, according to Freddie Mac’s weekly survey. A year ago, the average rate was 3.49 percent. The 15-year, fixed rate mortgage also decreased to 3.39 percent, down from last week when it averaged 3.17 percent. A year ago, the average was 2.8 percent. In Virginia, residential sales volume (measured by the dollar value of real estate sold) passed an important milestone in the second quarter of 2013. Sales volume surpassed the volume sold in 2010 when sales were boosted by tax credit incentives. The 2010 comparison is important because the 2013 Virginia housing market has advanced beyond the peak of the 2010 market, despite significant economic stressors (government sequester) and without economic incentives (tax credits). All in all, the second quarter was strong and continues to exhibit signs of recovery. Comparing the 2013 housing market to the 2010 housing market performance, inspired us to look back at sales volumes in the two years (2005 and 2006) prior to the peak “bubble” market in 2007 as possible benchmarks to recovery. A comparison of 2005-2006 sales volume to 2012-2013 shows that the Virginia housing market is well on its way back to normal. With unemployment rates continuing to fall and mortgage interest rates remaining low, we are looking forward to a strong market in July and August. The next two months may indicate whether we will continue to see encouraging numbers through the end of the year. Analysis and commentary by Ted Koebel, Senior Research Associate, and Mel Jones, Research Associate, of the Virginia Center for Housing Research at Virginia Tech. The popular answer for the best states for retirement seems to be anywhere along the Sun Belt, where retiring Americans have flocked for generations in search of sunshine, swimming pools and year-round golf. Yet, if you consider other factors that are important for seniors, you’d find that some of the best spots are actually located farther north. Bankrate pored through a slew of key factors, including access to medical care, cost of living, local crime rates, state and local taxes — as well as climate. “Virginia isn’t just for lovers. It’s for seniors looking for an all-around good place to settle down,” Bankrate said Monday in its write-up about the list. “The Old Dominion is better than average in most categories that Bankrate considered, including cost of living, warmer temperatures and access to physicians. “With only 2,446 property and violent crimes per 100,000 people, Virginia has one of the lowest crime rates in the country. Virginia was flanked by West Virginia, which ranked No. 7, and Mississippi, at No. 5. No. 1 was Tennessee, which was deemed an exceptional place for retires, especially for those on tight budgets and fixed incomes. Its one drawback was a high crime rate. This list had a few surprises — North Dakota, No. 10, and South Dakota, No. 3. If people can get past the frigid temperatures, the two states have a lot going for them, Bankrate said. Chris Kahn, an analyst with Bankrate.stated “This year we wanted to focus on the kind of questions retirees should be asking themselves if they decide to make a move,” Kahn said. Kahn, who lived briefly in the Fan District in 2000 and Roanoke for four years in the mid-2000s, said he was not surprised Virginia made the list. The methodology was based on medical statistics on the number of hospital beds per 1,000 people provided by the Kaiser Family Foundation and the number of doctors per 100,000 residents from the U.S. census. Crime statistics on violent crimes and property crimes per 100,000 people came from the 2011 FBI Uniform Crime Report. Tax rates were based on an estimate of the state and local tax burden (income, sales, property and other taxes) by the Tax Foundation. Average temperatures over 30 years (from 1981 to 2010) were provided by the National Oceanic and Atmospheric Administration and the Western Regional Climate Center. Cost-of-living stats were from the Council for Community and Economic Research. We are all taught that real estate is local but its always good to see how the other areas of your state are faring in the market. If 2011 was a year of transition for Virginia home sales, 2012 was a year of strength in the residential housing market. Nearly every month during 2012 the residential home sales market experienced higher sales levels as compared to the same month during 2011. Many of these buyers committed to a home purchase because of increasing job stability and certainty, others purchased because of the historically low interest rates, and still others sensed that the bottom of the housing market had arrived, or even passed them by. While each of Virginia’s home buyers during 2012 may have purchased for their own individual reasons, collectively they helped surpass 2010 and 2011 home sales. The Virginia Association of Realtors just released their annual report for 2012. The “Pieces of Home 2012 Housing Market Report” says Virginia saw an 8 percent growth year-over-year in home sales in 2012. However, some regions fared better than others. According to VAR, the Central Virginia and Northern Virginia regions led the way with 11% and 9% growth respectively, though the Central Shenandoah Valley (+8%) and Roanoke / Lynchburg / Blacksburg (+7%) weren’t far behind. Another highlight from the report is that Virginia’s median sales price increased 7 percent year-over-year, to $240,000. Home prices were higher than that in Northern Virginia. The report includes housing data, trends and comparisons, and articles by real estate experts from across the commonwealth. Pieces of Home is a comprehensive housing market report including market data, trends and comparisons, articles by real estate experts from across the Commonwealth as well as an article from Governor Bob McDonnell on how Virginia has remained on top. • Is it a buyers market or sellers market? 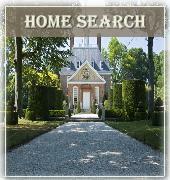 • Which Virginia region saw the greatest increase in home sales in 2012? • Are foreclosures still lingering heavy in Virginia? • How does the state compare to the US? • How are mortgage lenders preparing for the new regulations? • What do recent studies show regarding home pricing? Click here to download the Pieces of Home 2012 Virginia Housing Market Report. I write a number of posts about real estate statistics . Most of them focus on our local Williamsburg and Hampton Roads real estate market. 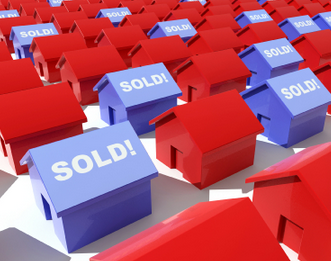 This update is from the National Association of Home Builders (NAHB) and is an overall look at the US housing market. Upward trends in recent months among a number of housing indicators point to a slow and steady growth in the nation’s housing market in 2013, but several challenges remain, according to the latest economic and housing forecast by David Crowe, chief economist for the National Association of Home Builders (NAHB). "Consistent, positive reports on housing starts, permits, prices, new-home sales and builder confidence in recent months provide further confirmation that a gradual but steady housing recovery is underway across much of the nation," said Crowe. "However, stubbornly tight lending standards for home buyers and builders, inaccurate appraisals and proposals by policymakers to tamper with the mortgage interest deduction could dampen future housing demand." Stating there is no consistent national trend, Crowe noted the housing recovery is local but spreading. "We are transitioning from a very low demand level, where most people hold themselves out of the marketplace, to a case where supply will start being the problem," he said. "As we begin to build more homes to address that supply, the new home stock will be a much more important element of the recovery." Setting the 2000-2002 period as a baseline benchmark for normal housing activity, Crowe said that owner-occupied remodeling has returned to previously normal levels. "Multifamily production is also well on its way, back to 69 percent of normal," he said. "It’s the single-family market that has the farthest to go, standing at only 40 percent of what is considered a typical market." Meanwhile, the number of improving housing markets across the nation continues to show considerable advancement. When the NAHB/First American Improving Markets Index (IMI) was launched in September of 2011, only 12 metropolitan areas out of 360 were on the list. As of December 2012, the list stands at more than 200 metro areas. The index is based on a six-month upswing in housing permits, employment and house prices. "One reason we have seen such a significant jump in the IMI is because house prices are beginning to recover," said Crowe. "House prices bottomed out early in 2011 and since early 2012 we’ve seen a 6 percent increase on a national basis." Another factor spurring the recovery is that household formations are on the rise. In the early part of the decade, the nation was generating 1.4 million new households each year. This collapsed to 500,000 annually during the housing downturn and currently new households are being formed at close to a 900,000 clip per annum. As new households form at a growing rate, so too does builder confidence. The NAHB/Wells Fargo Housing Market Index, which measures builder confidence in the single-family housing market, has posted gains for eight consecutive months and now stands at a level of 47. This is very close to the critical midpoint of 50, where equal numbers of builders view the market as good or bad. The HMI has not been above 50 since April of 2006. Single-family home starts are projected to climb to 534,000 units this year, up 23 percent from 2011. NAHB is forecasting that single-family new-home production will post a healthy 21 percent gain in 2013 to 647,000 units. Starts will continue their upward climb in 2014, posting a further 29 percent rise to 837,000 units. Meanwhile, new single-family home sales are expected to rise from 307,000 last year to 367,000 this year, a 20 percent rise. Sales are anticipated to climb to 447,000 next year, up 22 percent from 2012 and jump to 607,000 in 2014, a 36 percent increase over 2013 levels. The housing market is expected to continue its rise in the New Year, according to Freddie Mac’s U.S. Economic and Housing Market Outlook for December. Continuing to keep home affordability low, mortgage rates will likely remain near their record lows in the first half of 2013, Freddie Mac reports. However, the all-time low rates are expected to start inching up slowly during the second half of the year. Still, mortgage rates are expected to stay below 4 percent, Freddie Mac reports. Household formation is expected to increase to a net 1.20 million to 1.25 million household in 2013. Housing starts are expected to reach near the 1 million annualized pace by the fourth quarter. "The last few months have brought a spate of favorable news on the U.S. housing market with construction up, more home sales, and home-value growth turning positive,” says Frank Nothaft, Freddie Mac’s chief economist. “This has been a big change from a year ago, when some analysts worried that the looming ‘shadow inventory’ would keep the housing sector mired in an economic depression. Instead, the housing market is healing, is contributing positively to GDP and is returning to its traditional role of supporting the economic recovery." The October 2012 Virginia Home Sales Report has been released and yet again, most state-wide indicators show an improved housing market in the Commonwealth. I write often about local real estate statistics here in Williamsburg and Hampton Roads VA. What follows are state sales figures …. The pace of Virginia home sales continued to increase in October 2012 with a 12% increase to 7,017 home sales — after only a 2% increase between September 2011 and 2012. Low unemployment rates in Virginia, as well as record low mortgage interest rates, have helped Virginia’s residential housing market continue to grow throughout 2012. Monthly home sales are likely to remain at current levels through the end of the year, before declining in January. As shown above, the pace of home sales in October 2012 (7,017) marked a 12% improvement over the same month last year (6,263). Alongside a 12% increase in the pace of home sales in Virginia , the median sales prices in Virginia also increased. The median sales price in October 2012 ($235,000) marks a 9% increase from one year earlier ($215,000), and a 2% increase from two years ago ($229,900). It is typical in Virginia to see declines in median sales price between July and January, so we should expect to see median prices continue to decline during through the fall and winter months. Despite these seasonal declines, the increased pace of buyer activity is certainly helping to provide further stabilization and growth in median sales prices. 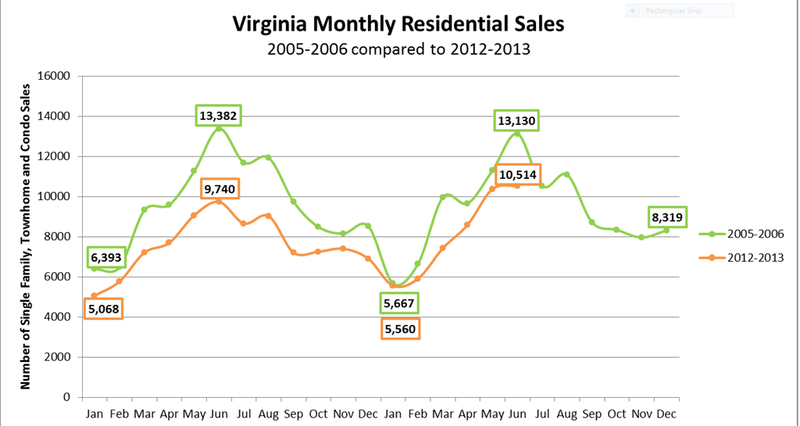 Read more inside the complete October 2012 Virginia Home Sales Report. Why isn’t Williamsburg on this list ? Well, it seems that we don’t fit the parameters from a population standpoint. This week, CNN Money Magazine published their annual list of “America’s Best Small Cities. Four Virginia communities were ranked among Money magazine’s Best Places to Live. The annual list of 100 small cities includes: No. 7 Reston, No. 17 Centreville, No. 45 Arlington and No. 46 Dale City. The ranking is based on factors such as median family income, job growth, school test scores, crime rates, weather and amenities such as a high concentration of restaurants. Money’s top 10 cities are: Carmel, Ind. ; McKinney, Texas; Eden Prairie, Minn.; Newton, Mass. ; Redmond, Wash.; Irvine, Calif.; Reston; Columbia/Ellicott City, Md. ; Overland Park, Kan.; and Chapel Hill, N.C. The average city on the Best Places list had: a median family income of $96,825; job growth of 25 percent since 2000; a median home price of $269,768; 3,134 restaurants within a 15-mile radius; and a median age of 35. CNN Money released twelve lists this year, including “Best Places to Live,” “Where the Jobs Are,” “Top Earning Towns,” “Hotspots for the Rich and Single,” “Where Homes Area Affordable,” as well as lists for commute times and climate.